Life can be stressful, the daily responsibilities of school, work, home and extracurricular activities. 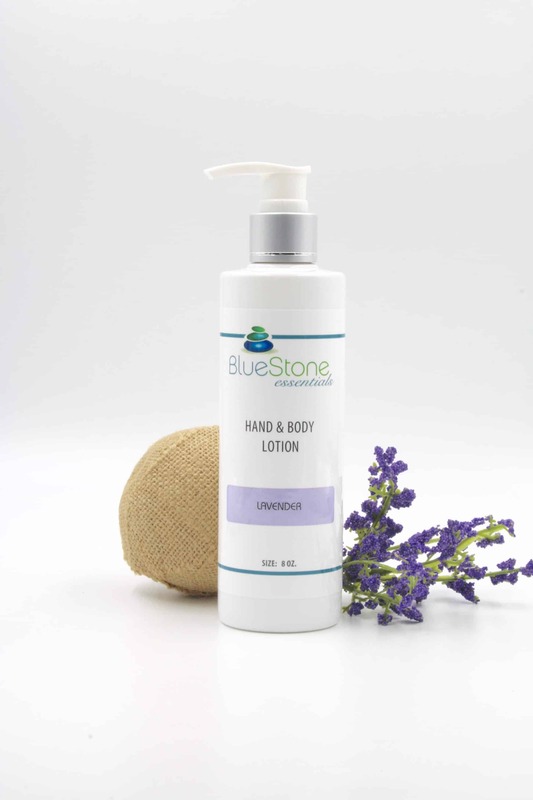 BlueStone’s Lavender hand and body lotion was created with 100% therapeutic grade lavender essential oil, a beneficial stress reducer. Moisturize and replenish your skin daily while enjoying the wonderful aroma and calming effects of lavender. Massage into your body prior to bed to help provide a restful night of sleep. Treat your senses! Wash in BlueStone Essentials’ Lavender bath and shower gel and follow with our Lavender hand and body lotion! 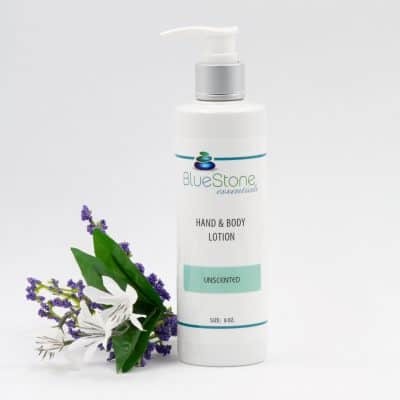 BlueStone Essential’s Lavender Hand and Body Lotion offers carefully selected plant-based ingredients and the luxurious feel of genuine Essential Oils. It spreads easily and absorbs fast, providing nourishment in abundance. It soothes dry, sensitive skin and adds plenty of moisture to keep the skin supple, healthy and youthful. A unique formulation of Soy, Jojoba, Coconut and Palm extracts in combination with pure therapeutic grade essential oils restores the skin’s natural balance for radiant health. Ingredients: Purified Water, Glycerin (from Coconut Oil), Stearic Acid (from Coconut Oil), Pure Plant Oil Complex (Soy & Jojoba Oils), Cetyl Palmitate and Cetearyl Alcohol (from Palm Oil), Pure Therapeutic Grade Essential Oil Blend: Lavender (Lavender angustifolia), Lavendin (Lavendula burnati), Sweet Orange (Citrus Senensis), Geranium (Pelagonium graveleons), Cedarwood (Juniperus virginiana), Spanish Marjoram (Thymus mastichina), Frankincense (Boswellia carterii); Poly Sorbate 80 (from Palm Oil), Glyceryl Stearate (from vegetable sources), Cetyl Alcohol (from Palm Oil), Aminodimethicone (from Silica), Phenoxyethanol and Ethylhexylglycerin (mild preservatives from plant sources) Certified Organic by Quality Assurance International.